We received our second Zojirushi appliance for our wedding from some close friends. It is so cute and I couldn’t wait to use it. 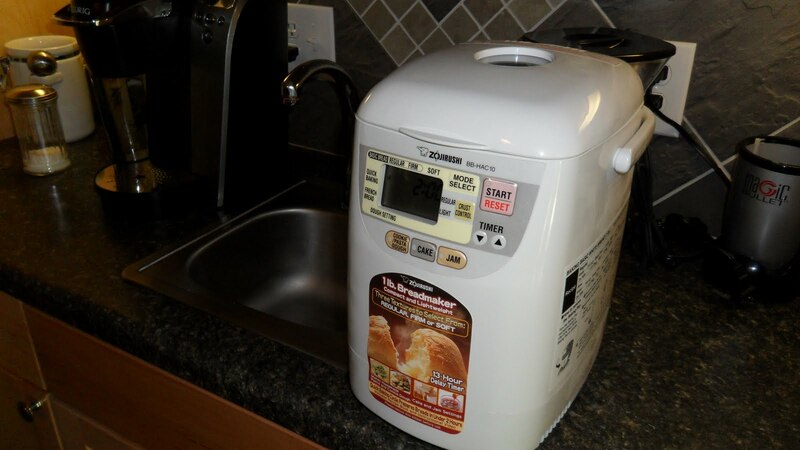 I have had a Zojirushi rice cooker for a few years and it is one of my favorite appliances. In the age of high fructose corn syrup in almost everything (Yes.. Including your bread.) What a great way to control what goes into your bread without having to destroy the kitchen. It took me 5 minutes to add the ingredients for basic white bread and about 3 hours to cook. It makes one mini loaf good for about 6-8 slices. Of course there are a ton of variations but I thought basic was the best way to start. When it was done the whole house smelled great and the bread was awesome. It has already found a permanant place on the counter. ← New Way to Market Cereal?